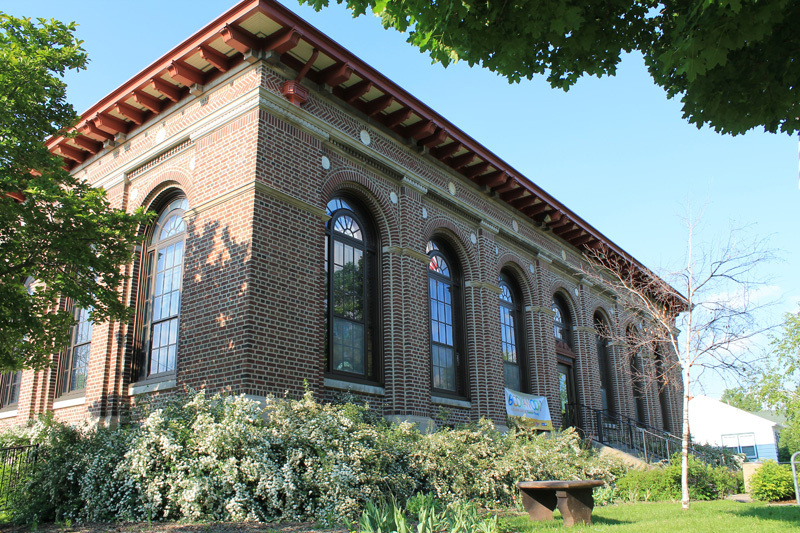 A short distance south of St. Matthew's School, at the corner of Humboldt and George, you will find Riverview Library. 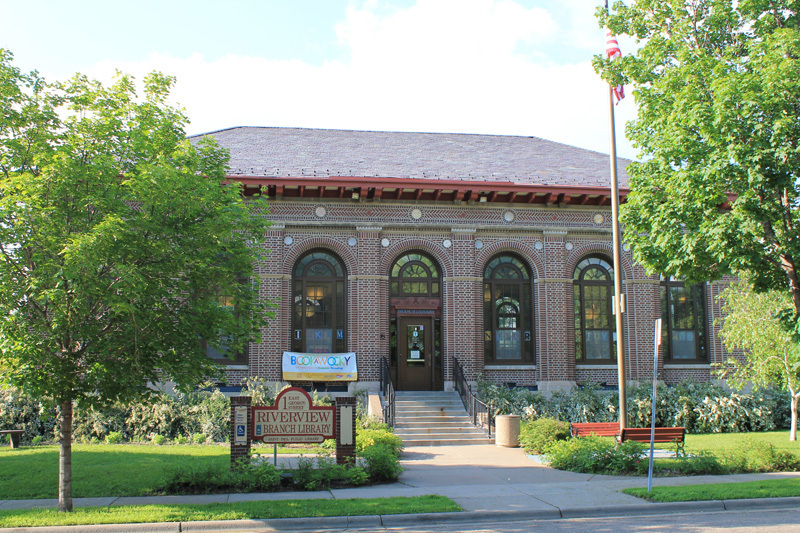 The Riverview is one of three Carnegie libraries in St. Paul, all built in 1916; the others are St. Anthony Park and Arlington Hills. There is disagreement about who designed Riverview and St. Anthony (they are very similar.) 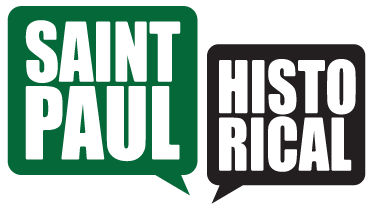 St. Paul Public Library ascribes them to the untraceable “Cameron and Company.” Architectural historian Larry Millett gives credit to St. Paul city architect Charles Hausler. The most delightful feature of this library is the abundant light invited in by the enormous windows. 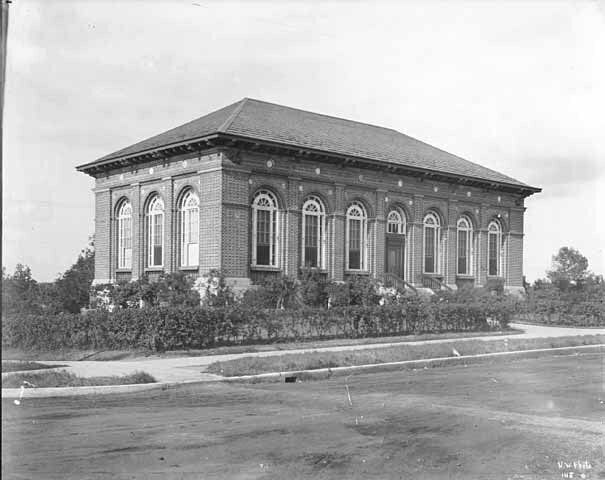 Paul Nelson, “Riverview Library,” Saint Paul Historical, accessed April 19, 2019, https://saintpaulhistorical.com/items/show/143.